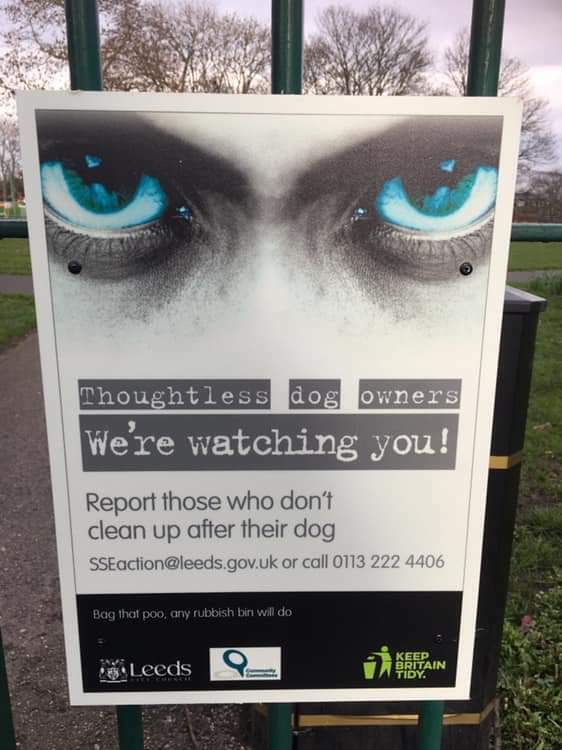 Thoughtless and irresponsible dog owners are the target of a campaign in South Leeds as local councillors in all three wards (Beeston & Holbeck, Hunslet & Riverside and Middleton Park) paid for new signs to be displayed in problem areas. Following a trial by Keep Britain Tidy, the Councillors have invested in the signs, as they and local residents, are increasingly frustrated at the numbers of dog owners who refuse to clean up after their pets. Keep Britain Tidy have seen big reductions in dog dirt using similar signs in Portsmouth. It is hoped that the new signs will remind dog owners both of the fines they could be facing but also the responsibility they took on when they bought their pet. Dog faeces can have serious health consequences and can even cause blindness, particularly among young children who can come into contact with it while playing. The new signs are just starting to appear and are in place at Cross Flatts Park and outside Beeston Primary School amongst other locations. “There is absolutely no excuse not to clear up after your dog and it really frustrates me that people still seem to think this is an acceptable thing to do. 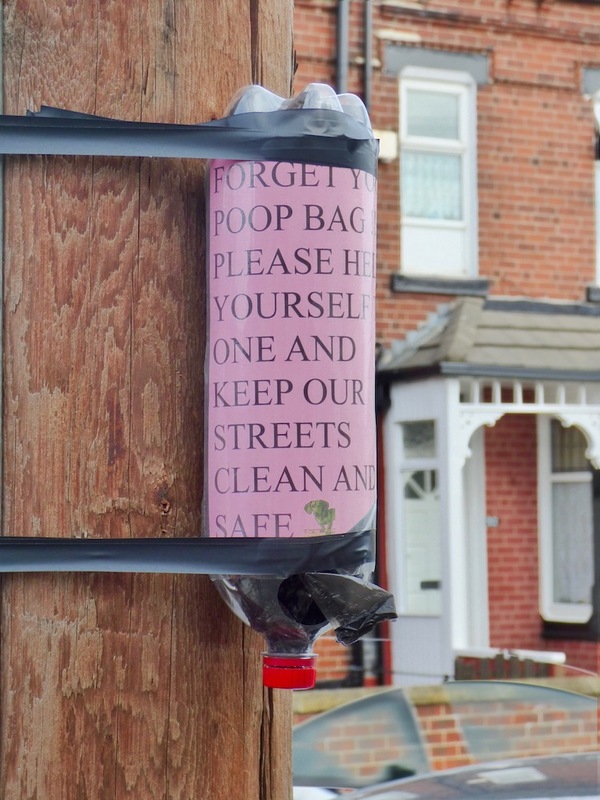 Meanwhile residents in Beeston and Holbeck have started their own initiative putting up poo bag dispensers for dog owners who forget to bring their own bag. The dispensers are made from repurposed plastic bottles and attached to lamposts. Each dispenser is monitored by a volunteer resident. Jeremy Morton how on earth can you not get your facts right when writing articles in Southleeds Life. I feel that you are very biased about the people you write about after you were told by a resident who was responsible for the bottles holding the bags to be used by the general public. You failed to name the person and made it out to be residents after the labour councillors put the notices up. I feel that if a person has an initiative that is successful that person should at least deserve some recognition for the hard work and the hours put into it using his own finances and spare time. Horrible that dog pop left but we are OK with the used needles and condoms in the parks another show from the councillors that they don’t have their priorities right. Utter disgrace.